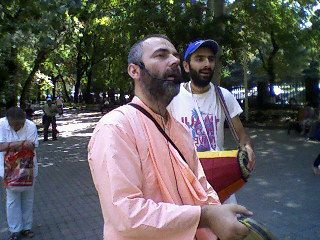 20 years later, in September 2013 the adherents of Krishna again performed ‘Hare Naam’ in Yerevan — they went through public places reciting the Hare Krishna Mantra, beating drums and cymbals. They walked on Abovian street, went down to the city square and circled around the lake four times. The procession was authorized by Yerevan Municipality. The latest “Hare Naam” was performed in early 1990s. Hare naam is one of the three public activities of the Krishna adherents, the two others – word preaching (sankirtana) and distributing of food (prasadam), are not yet performed, still in fear of 1995, when upon the order of the Minister of Defence, Yerkrapahs (The Defenders of the Land) invaded the Krishna adherents’ temple, beat the believers and remained unpunished. ‘The second waive of spreading the Krishna consciousness starts, it has started in the world already, is still weakly expressed in here’, 59 year old Aghvan Harutyunian, the leader of Vanadzor small Krishna community says. He was sentenced to three years in prison for Krishna activities during the Soviet years (1986-1989), and served his sentence in Baku. After being released he moved from Yerevan to Vanadzor and created the Krishna community that has been acting up to these days. 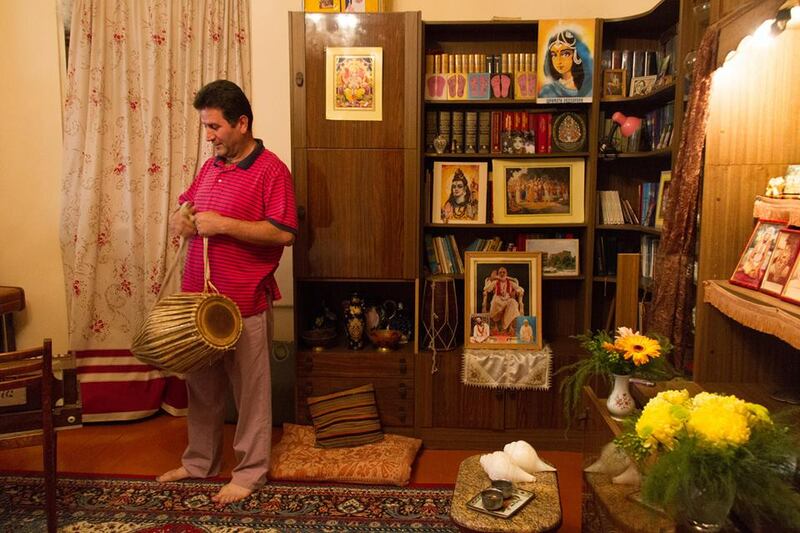 ‘Freedom of Conscience’ correspondents visited the small house of Krishna community in Vanadzor, where Aghvan Harutyunyan (religious name – Anahata das), his wife Alvard, his wife’s sister Gayane and brother Levon Avetisyan (Lal Mohan das) with his family live and perform their rituals in a separate tabernacle room. 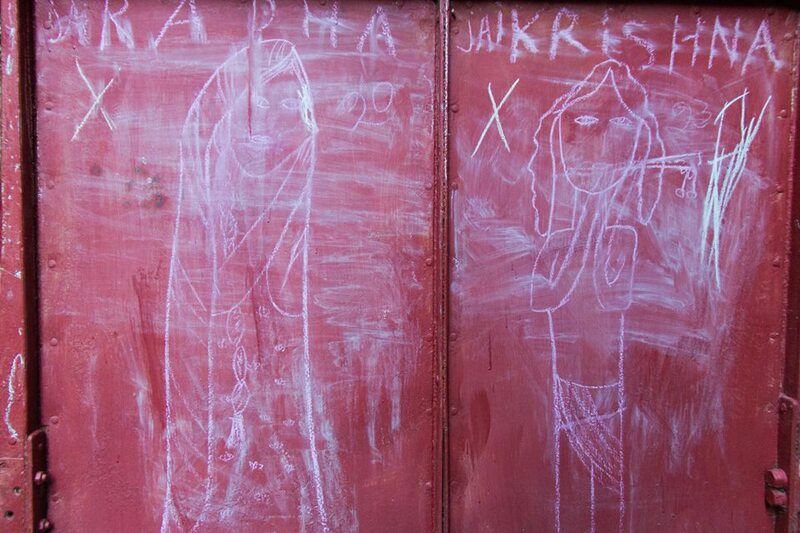 Another small group of Krishna adherents operates in Yerevan; there are about 60 people allover Armenia. ‘Krishna consciousness’ (another name, bhakti yoga, fostering love in God) teaching (doctrine) is the modern interpretation of one of branches of Hinduism, Gaudiya – Vaishnavism, which Bhaktivedanta Swami Prabhupada, coming to the US from India in 1965, disseminated around the world and created the International Society for Krishna Consciousness in New York. The doctrine is mainly based on the comments from Vedic Books by Bhagavad Gita and the 16th century Hindu reformer Chaitanya. 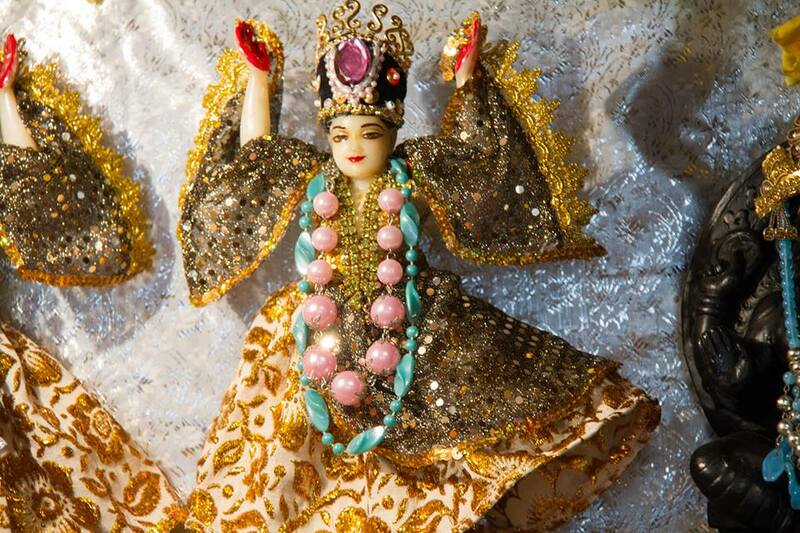 The Krishna adherents believe in supreme god – the Krishna. According to Krishnaism, there exist illusionary (material) and true (spiritual) worlds. Man is a spiritual being and gets a material body in the material world. To achieve perfection he should be able to control his senses, the aim of bhakti yoga is to restore the eternal relationship of one’s soul with the supreme being of God (this relationship is called race in Sanskrit). To be Krishna adherent, first of all, one is expected: a) not to eat meat, fish, egg, b) not to use drugs, hashish, alcohol, tobacco, coffee, tea, c) not to engage in gambling, d) not to have illegal sexual life. The first literature on Krishna consciousness was brought to Armenia in 1981. Yerevan became one of the main USSR Centers of Krishna Consciousness. In 1984, in Yerevan, Bhagavad Gita got published as Samizdat in 10 thousand copies and distributed all over the Soviet Union. In 1980s in Armenia, like in the whole Soviet Union, the adherents of Krishna consciousness community were more suppressed than those of other religious organizations; the believers were either sentenced to prison or closed in psychiatric hospitals. In 1985 the first convict was Araik Hakobyan, a Geology student from Yerevan State University (sentenced to prison for one and a half year). 10 Krishna adherents were arrested in Armenia, and were sent to psychiatric clinics or were sentenced to prison for different terms. The KGB was proposing them to give up their religious convictions, promising to set them free, however, the Krishna adherents remained faithful to their doctrine. Krishna consciousness organization was one of the first religious organizations registered in independent Armenia; yet it also became the first victim of religious intolerance and was the first that experienced the increasing religious hostility. In 1994 Krishna adherents 5 times suffered violence from nationalist military forces and Armenian Church clergy, remaining unpunished. The peak of these violence was in April of 1995 when the Yerkrapah (Defenders of the Land) invaded the gathering places of eight religious organizations, beat the believers and took away their property. They treated the Krishna adherents with the most cruelty then. Yerkrapah unit of Yerevan Arabkir district, about 25 people, invaded the Krishna adherents’ temple on Sose street and cruelly beat the believers with metal bars, then robbed the temple, tore off the gold jewelry from women. After this incident the large part of the 100 member Krishna consciousness community left the country and the building of the temple was sold. Yerkrapah had threatened that they will beat them again if they gather in the temple (another person said that they threatened to kill them). In 1997, a change was made to the “Law on Freedom of Conscience and Religious Organizations”, which stated that 200 members were necessary, instead of previously required 50 members, to register a religious organization. Thus, the Krishna community was also deprived of registration as they were not able to gather so many people. In 1977, after the death of Bhaktivedanta Swami Prabhupada, the organization began splitting. In 1990 the splits became deeper; a lot of people left the International Society for Krishna Consciousness Organization and followed other Indian gurus. On the one hand the violence of 1995 and on the other hand, the splits in International Society for Krishna consciousness organization (ISKCON), that reached Armenia in 1994-1996, inflicted double stroke to the Armenian community, resulting in further division of the latest. 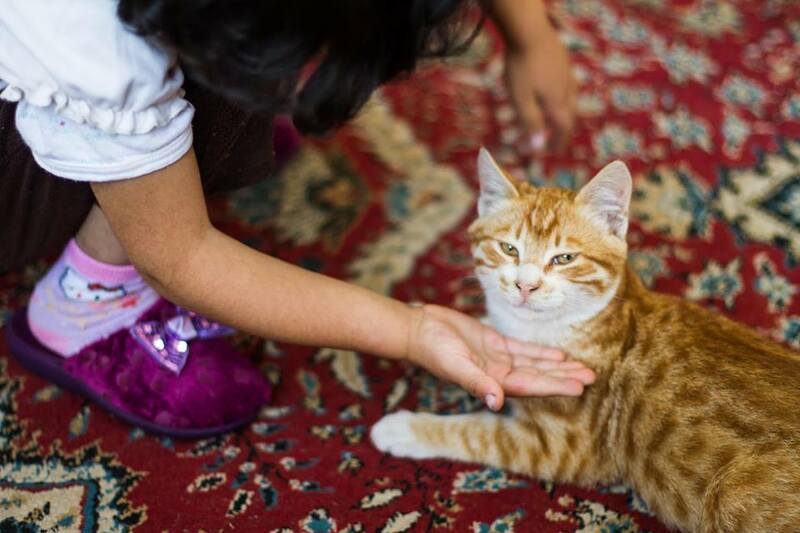 ‘All the hardships that we had are seen as fruits of fate – karma, namely a consequence of actions performed formerly and now, and we attribute the good and the bad that happens to us to Karma, to its inertia’, Levon Avetisyan says. ‘We take the difficulties and violence calmly and in any situation we remember the supreme being of God, and do see the world and all the religions in harmony. We are not inclined to treat with hostility the other religions, because any religion exists upon the will of God and stays on different spiritual levels. In other words, there are no bad religions; there are bad followers, said our spiritual teacher Prabhupada’. However, the Vanadzor fragment of Krishna community endured this test of faith lead by Aghvan Harutyunyan, who did not leave the country and being in danger kept the Krishna consciousness hearth. They are the followers of Guru Narayana Gosvami Maharaja (1921-2010). There are few members of ‘International Society for Krishna Consciousness Organization’ in the country. ‘Bhaktivedanta Swami Prabhupada was the representative of gaudiya vedanta school’, a representative of Vanadzor community 54 year-old Levon Avetisyan explains. ‘He also has had his teacher, the latter his teacher, the latter his teacher, and this teacher-student chain is coming from ages-from the Krishna to us. Spiritual knowledge is spread through this teacher-student chain (parampara). One group of Krishna organization – ISKON- accepts only Prabhupada, they say ‘he has given us everything and we do not need another teacher’; they have put the traditional teacher-student chain on the second place. ‘But the connection that devotees take seriously into account could not be eliminated. Our spiritual teacher is from the same Bhaktivedanta School, he is considered the spiritual brother of Prabhupada, and before leaving his body Prabhupada had asked our Guru Dev Narayana Gosvami Maharaja to take care of the western students’. In 1995 the Vanadzor Krishna community did not suffer due to the links with the authorities. ‘City Mayor Ashot Manukyan (currently an ANC opposition party member) was a friend of ours, he said, ‘don’t worry, no one will harm you’. I said, ‘but that’s a state violence, isn’t it’, and he again calmed me down, ‘there will be no problem’, Aghvan recalls. 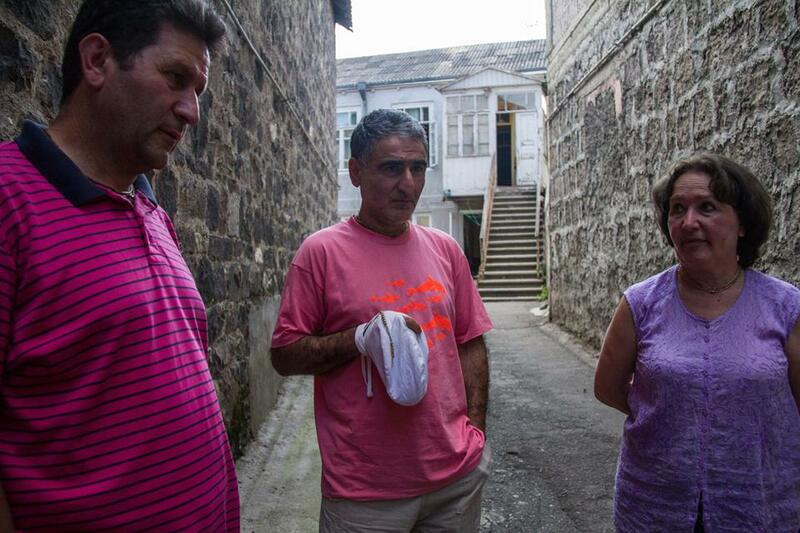 However, the violence in Yerevan also impacted the activities in Vanadzor, they stopped the functioning of Soup kitchen, ‘There were times when we fed 300 people daily, and we stopped after those days’, Alvard Avetisyan says. 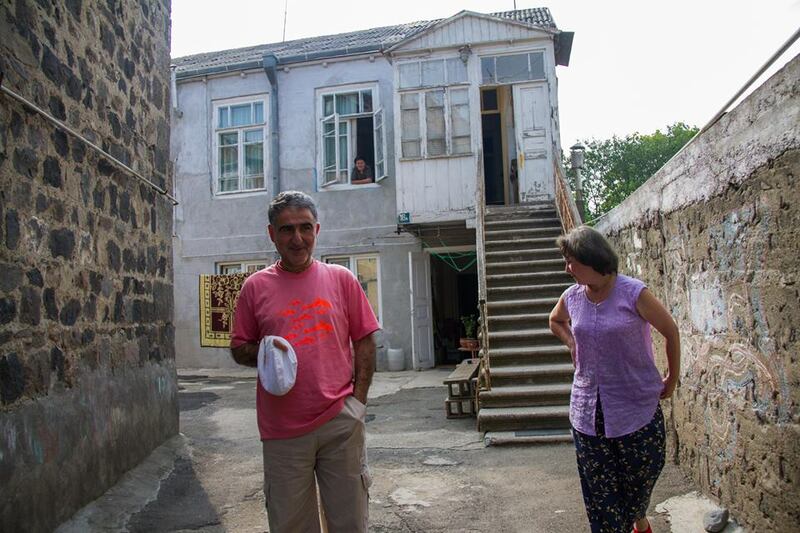 The Christian environment in Armenia does not suppress them, on the contrary, they consider Jesus as a great teacher and see a lot of commonalities in their teachings and Christianity. ‘Christ as a personality has been in Krishna’s consciousness’, Aghvan says. They see traces of reincarnation in the Bible, as they cite the words of Jesus about John the Baptist in Matthew’s gospel ‘and if you are willing to accept it, John himself is Elijah who is to come’. ‘In our ideology it is called Reincarnation – transmigration of the soul’, Levon says. In material world the living beings are doomed to four states: birth, disease, senility and death. No one can avoid these states, because the material body is not foreseen for something more, and the soul that reaches perfection when it gets mature, enters the spiritual world and gets a spiritual eternal body, that is not subject to these four things. Soul has three characteristics it is eternal, in search for knowledge and bliss, but in the material world all is covered with materials, illusion (Maya). As man falsely identifies himself with material body, the living creature does not experience the conditions of his soul – eternity, bliss, knowledge. Instead, not being able to control his senses and being guided by the illusion, man finds himself spinning in the cycles of birth and death and all the consequences that come with it – suffering, happiness, illness, fate, and so on’. They interpret Jesus commandment ‘you should not kill’ as relating to all living beings. They believe that there is a soul in each animal. Man must not exercise violence towards any living creature. Who is pious? Vedas tell in one sentence ‘the one who does not bother any living creature’. After hearing this statement they are often asked, ‘you don’t kill a mosquito too?’ ‘First of all we maintain cleanliness, cleanliness is very important for insects not to appear’, Alvard says, ‘we also put camphor and they run away from the smell. There are measures against mosquitos, it is not just to kill them’. They don’t want to have problems with the State, and if needed the Krishna adherent is ready to serve in the armed forces. ‘In case of war, if there is an aggression towards our country, we are obliged to defend the country where we are honored to live, Levon says, the fight against aggressor right up to killing is not considered as a sin. And if our country becomes aggressor and attacks another country, we will remain neutral and will not participate. According to Vedic teachings, Karabakh has gained its freedom through battle, consequently these lands are ours, people wanted to exercise their self-determination right, they were not allowed to, so they had to gain it through weapons, and the other territories are their contribution. If Azerbaijan attacks us again, we shall defend our country’. The main problem of serving in the Army is the food, they are fed with meat, and eating meat is a terrible sin for them. They are confident, that it is possible to have energy and work efficiently by substituting meat with vegetarian food and sticking to appropriate meal planning. 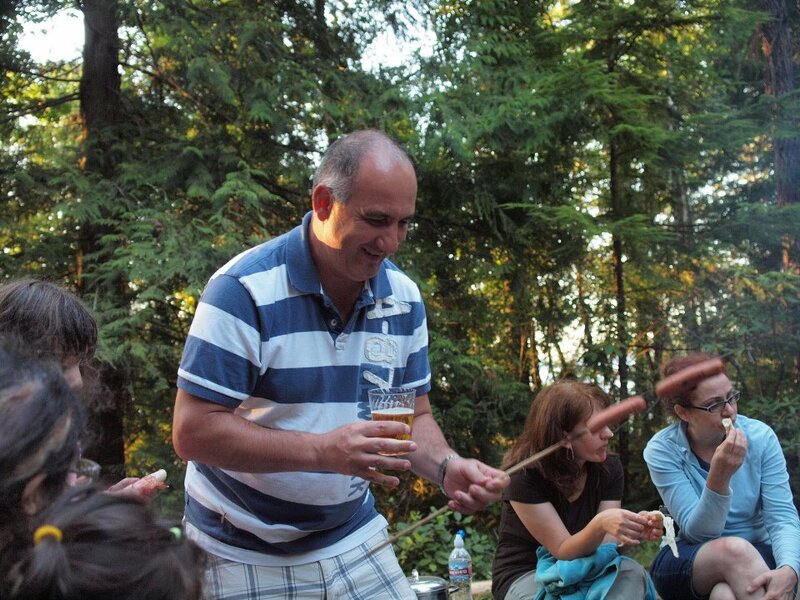 Levon shared his story: he is a person who has vegetarian diet and is into a hard craft that demands high energy. As a blacksmith he bends metal in a traditional way and is the only person in Armenia who makes Damascus swords (from a mixture of several metals). His clients are wealthy people and authorities in power.. The scale of their religious activities is narrow, they are concerned that wider activities may result in experiencing violence again. ‘To tell the truth, fear has a quick ear, we do not know, what reactions will come’, Alvard says. They are also aware that the State Security Service knows about them, though they have not yet bothered them. Nevertheless, preaching their doctrine to everyone is not part of their religious activities. ‘Preaching to one who does not accept your words, to enunciate holy names to one who does not want to listen, is one of the ten insults to Krishna’, Levon says, in Christianity it is called ‘to throw your pearls before pigs’. Entry filed under: Features. Tags: freedom of conscience, Krishna, religious minorities, SRILA BHAKTIVEDANTA NARAYANA GOSVAMI MAHARAJA.